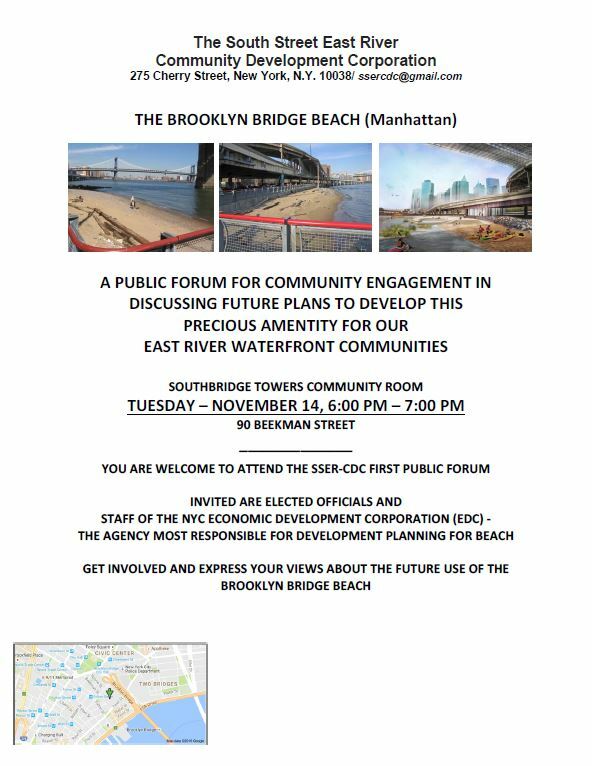 Friends of South Street Seaport (FOSSS) supports the South Street East River CDC’s efforts to bring awareness of Manhattan’s Brooklyn Bridge Beach, and the long-standing request of residents and waterfront advocates to have this beach opened up to the public. 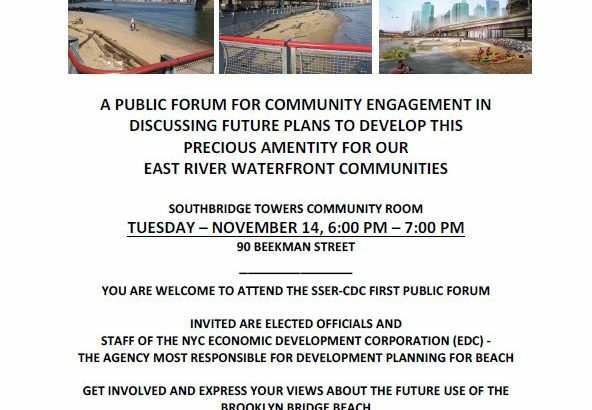 An opportunity to make this happen may be closing as the latest NYCEDC project – Brooklyn Bridge Esplanade, which spans the beach area – is proceeding without including the beach in its scope. 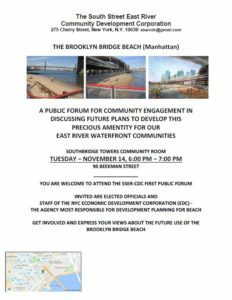 Please come to the forum and provide your input.